The Romano House is located in Catania, in the hearth of the historic baroque city centre. The hotel is located in a strategic point, walking distance from main attractions where enjoy all the many facets of this unique corner of Sicily, first of all the culinary traditions or the typical nightlife. If you are a sea lover you may discover the about 70 Km of coastline. Striking is the Etna landscape as well as the several small villages of fishermen. Skilfully restored, the Romano House is a successful example of a mix between the ancient architecture of the 18th century and the most modern, cosmopolitan and essential design. 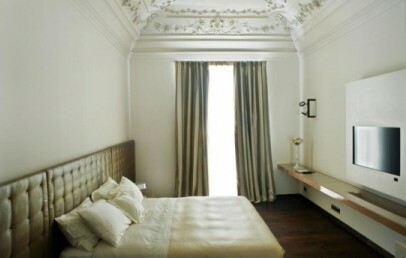 The Hotel is characterized also by vaults and times painted, elements which remind the ancient history and its elegant. The terrace presents a cosy and intimate lounge area. The Romano House consists of 50 rooms caracterized by vaults and times painted and by finest luxury details which involves tissues as well as lighting. The accommodations present the same style of the Hotel: a mix between tradition and innovation, precious 17th century art combined with the most sophisticated design. The atmosphere is elegant and glamour in each typology: Superior, Nobile, Junior Suite e Suite, each one with a main difference in dimensions. 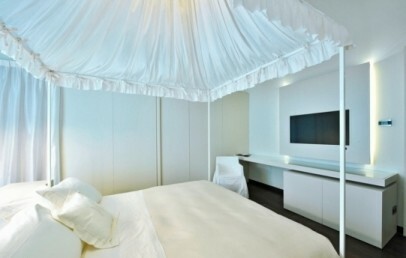 In addition, the Suites are furnished with precious furniture by special designer such as Fendi, Philippe Starck and Roberto Cavalli. All rooms are equipped with sat Tv 42 inch and pay per view, Wi-Fi and DSL high speed Internet access, minibar, safe for laptop, rich bath amenities and room service. Sicily is an island well-known for its beautiful sea which have gained numerous prizes and awards. The coastline of Catania is one of the loveliest and most charming parts of the island thanks to 70 km of coast: the beach, well served by public transport, presents several tourist facilities. You may also discover wild landscape, rocky or free beaches. The intimate and refined Il Riccio Restaurant is a jewel of the Hotel. The Chef Giuseppe Fucile proposes a rich selection of Sicilian traditional but unusual sea and meat dishes characterized by the choice of seasonal raw materials of highest quality. Breakfast and aperitifs will be served at the House Bar, a cool meeting point for the city and the hotel Guests. A lounge area and a fitness center are available for the guests . You can request many additional services such as personal shopper, image consultant and a babysitting service. The staff are at your disposal in the organization of business meetings, banquets and excursions. 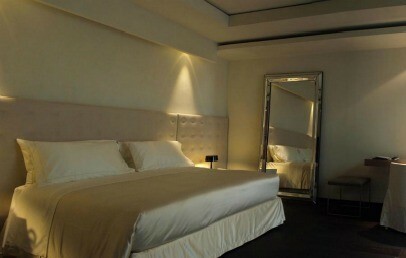 Double rooms with famous designer special and modern furnishing. A work area is equipped with desk, easy chair and Wi-Fi. The bathroom has a shower, hair dryer and complimentary toiletries. Comfortable double room with modern furnishing. A work area is equipped with desk, ADSL and Wi-Fi connection. The bathroom has a shower, hairdryer, slippers and complimentary toiletries. 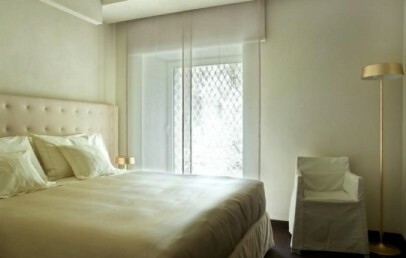 Comfortable double room with ceilings with stucco or frescoes of the late eighteenth century and modern furnishing. A work area is equipped with desk, ADSL and Wi-Fi connection. The bathroom has a shower, hairdryer, slippers and complimentary toiletries.